24h, tokareva, zagato1750 and 9 others like this. So beautiful watch. I am little bit jelaous. What movement inside? 2616? Last edited by Chascomm; 2 Weeks Ago at 07:34.
shahrincamille, tokareva, stevarad and 9 others like this. 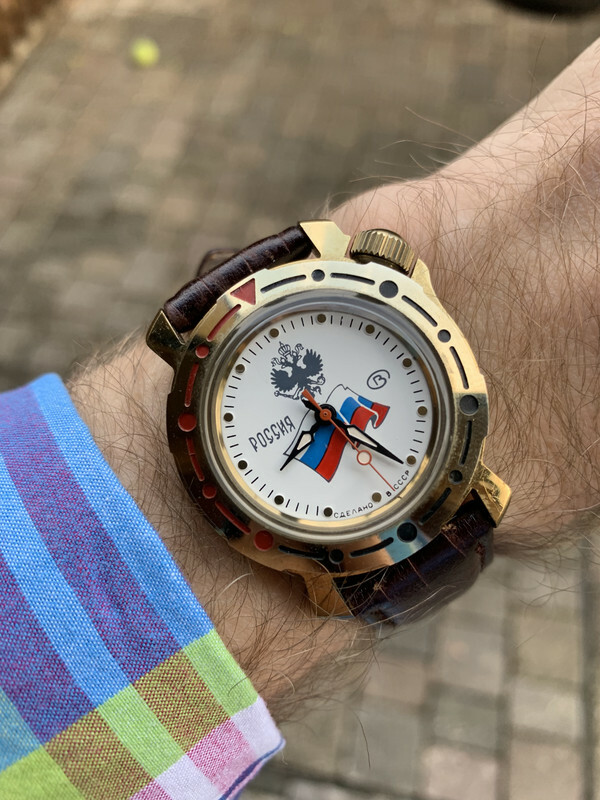 An overwhelming majority of my Russian watches are ancient, with a few dating from the earlier days of the RF; but almost all are Soviets. Most of them are used (or pre-owned, as they like to call it these days ), with a few NOS ones. max888, tokareva, stevarad and 7 others like this. Poljot nautilus alarm, black variant. Good morning to everyone..
arktika1148, 24h, shahrincamille and 9 others like this. shahrincamille, stevarad, 24h and 8 others like this. shahrincamille, stevarad, 24h and 4 others like this. Where did You bought this one? From a nice namesake (тезка, имењак) in Bucharest, Romania. I gather he visits here from time to time. He sent the whole set, with box, paperwork, original strap — all in excellent condition.